In an attempt to become king of the Nephites, he led a revolt against Pahoran. When Amalickiah's plot fails (due in large part to Captain Moroni and his Title of Liberty) he and some of his followers fled to the Lamanites where, through a clever strategem, he positioned himself to become king of the Lamanites. 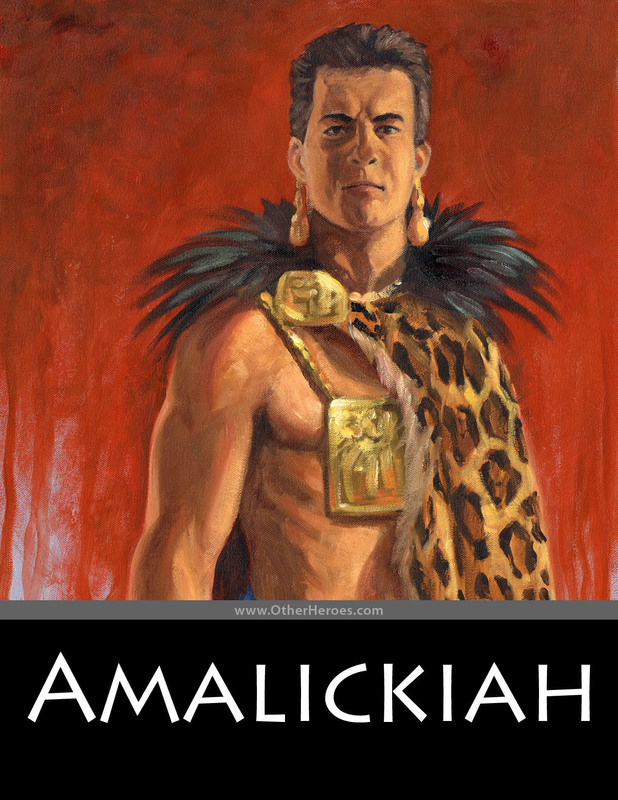 First Amalickiah gains control over the Lamanite armies by gaining the trust of, then killing Lehonti (leader of a major portion of the Lamanite forces). Then Amalickiah had his servants slay the Lamanite king and blame it on the king's own servants, one of whom is Laman (4). Having gained the whole Lamanite kingdom, he led them to a terrible war with the Nephites. He is ultimately slain by Teancum.